February 7, 2017: Indians are optimistic about how their bilateral relationship with the United States will fare under the Trump administration. They expect important changes in the U.S. geopolitical outlook. The resulting disruption may bring dangers but also opportunities for India. In assessing its policies for a world of much greater uncertainty, the basic foreign policy goals we wrote about in India at the High Table will largely survive, though India, as we anticipated, may need to tweak how it thinks about strategic autonomy. Some aspects of the new administration’s approach to the U.S. domestic economy may wind up having an impact on international trade as well – and hence on India. 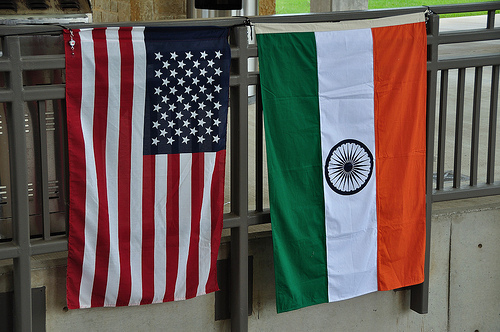 US-India relations look promising: A recent visit to Delhi found Indians – both official and unofficial – decisively upbeat about the effect of a Trump presidency on bilateral relations with the United States. Most expect that President Trump and Indian prime minister Narendra Modi will quickly develop a strong personal relationship. Both are politicians who beat the odds to become national leaders; both had promised to shake up the political systems in their countries; both like direct and sometimes provocative communications. Especially after a buoyant phone conversation praised in both countries, observers expected the security and economic ties that have built up over the past two decades to carry on. Trump’s strong anti-immigration stance, and word of his dislike for the H-1B visa program that brings many Indian tech workers to the United States, is recognized as a potential problem. It has generated a great deal of excitement, especially as legislation changing the program has been considered once again in the U.S. Congress. A delegation from the Indian tech industry is expected to visit Washington in February to advocate for retaining the program. However, this issue was generally not expected to disrupt the upward trajectory of U.S.-India relations. The Global Order at an Inflection Point: Trump’s campaign said relatively little about foreign policy, but what it did say felt revolutionary. This tone has continued since the election, with Trump publicly calling NATO “obsolete,” questioning the viability of the European Union, and threatening trade wars. Observers outside the Indian government expressed uneasiness about unpredictable U.S. behavior which could lead to global uncertainty. Indian government officials seem to be watching three issues in particular. The first and most important is what will happen to U.S.-China relations. Ideally, India would like the U.S. and China to keep their relations reasonably stable, but not so close as to cut India out of the role it seeks in Asia and on the world stage. China has a big economic relationship with India as well as a profound influence on the security outlook in the Indian Ocean and Southeast Asia – areas critical to Indian security. India’s ability to expand its trade and its influence to its East has benefited from the U.S. economic and security profile in Southeast Asia. Now, the watchword is uncertainty. The second important issue for India is U.S.-Russian relations. Trump’s warm words about Putin suggested that U.S.-Russian relations might improve. This would be widely welcomed in India. Finally, Indian officials are closely watching the perennial question of U.S. relations with Pakistan. The effusive reports of a December phone conversation between Trump and Pakistan Prime Minister Nawaz Sharif inevitably left many Indians wondering whether the old U.S.-Pakistan attraction would resume. Those who follow events in the U.S. recognized that Trump and senior figures in his administration are also deeply suspicious of Muslims, and Modi is expected to try to build on this common view. There was remarkably little speculation on whether the U.S. administration was likely to try to broker a Kashmir settlement – an effort we regard as most unlikely, which would be welcomed in Pakistan and rejected in India. We were particularly impressed with one experienced observer’s comments on the strategic implications for India of Trump’s global outlook and the nationalist rise in Europe. He noted that the liberal international order that prevailed for the past seventy years might be morphing, perhaps into a Hobbesian “war of all against all.” This might not take military form. It could mean that countries that had relied on a predictable set of international relationships might find themselves without support that they could count on. If China’s economy went through serious difficulties, this would add a strong element of economic disruption to the geopolitical shifts. If the basic underpinnings of the world order are shifting for the United States and China, this observer argued, the resulting uncertainty might offer opportunities as well as risks for India. He offered little explanation of what these newly open “doors” might be. Three seemed to us implicit in the rest of his discussion. India might have new opportunities for multilateral leadership. Fluid relations among the United States, China and Russia might offer India opportunities to use its ties with those three major powers to shape the global balance of power. More broadly, this observer noted, if the United States is fundamentally reevaluating its approach to the world, perhaps India might need to do the same. Looking back over the seventy years since modern India became independent, three foreign policy drivers have been extraordinarily durable. India has consistently sought to maintain regional preeminence. This is likely to become, if anything, even more important in an era marked by uncertainty, fluid international relationships, and a Chinese powerhouse competing with the United States. A second driver, the commitment to nonalignment and more recently to its intellectual descendant, “strategic autonomy,” could come in for some redefinition in a world of more changeable international relationships. India’s greater power is unlikely to relieve it of the need to work with other countries to achieve its goals. What is unclear is how complicated it may be to develop sustained friendships in a more Hobbesian international order, should that materialize. The Economic Dimension: The third major Indian foreign policy driver, nurturing India’s expanding economy as an instrument of national power, only achieved its present prominence in the last quarter century. This objective will, if anything, become even more important in Indian foreign policy if early projections of the emerging international order are correct. India’s economic surge and greater openness to the global economy developed as global trade was expanding. The Indian government remains highly cautious, however, in considering further market opening. Trump’s decision to withdraw the United States from the Trans Pacific Partnership (TPP) was greeted with relief in Delhi. India had not joined the TPP talks, which it felt would open the doors faster than its economy and its democratic politics could manage. It feared U.S. pressure to join the TPP, but was uneasy about the impact on its export markets of an agreement that gave competitors like Vietnam preferential access to the US market. Export access was the key U.S. objective during most of the world’s trade negotiations since 1947; the accent has now shifted to penalizing imports. The U.S. objective is job creation – but not just any jobs: Trump and his appointees are focused chiefly on manufacturing, and specifically on heavy industry: steel, aluminum, automobiles. Services and tech jobs are mentioned much less frequently. One doesn’t hear much about encouraging innovation, or about small business. Local supply is in. Global supply chains are out. The border tax that has been floated would take direct aim at them. Multilateral negotiations are out – too diffuse, too complicated. Even “plurilateral” negotiations with a handful of countries are suspect. Bilateral negotiations are in, with a specific transactional focus. Powerful countries often prefer bilateral encounters, which magnify their power differential (this has generally been true of India as well). But a world of bilateral agreements makes trade rules more diverse, and hence makes trade more complicated. The administration, and Trump in particular, want to short-circuit the way businesses made decisions during the globalizing years. They want CEOs to decide on the future of their production facilities based on citizenship, not global efficiency. Short term action is in. Trump seems to favor coercive negotiations with business leaders, leading to company-specific deals. Long term planning is out: remedies involving education and training are not immediate enough. Trade adjustment for displaced U.S. workers is seen as too far off to be a solution. The Trump Administration is nothing if not impatient, but it may take some months – or more – to get a clear fix on the effect of its changed emphasis. Its top trade priorities are likely to be NAFTA and China. India is large enough to be noticeable in U.S. trade, but not weighty enough to have a decisive influence. It may find some of its export markets under pressure. India’s successful auto parts exports could be a case in point, especially if they come from U.S.-owned corporations operating in India. India is unlikely to get much support in the U.S. government for retaining short term work visas (the H-1B category, for example); finding an alternative business model may be a more viable strategy. Finding an argument that connects trade growth between India and the United States with job growth in both countries will be key to avoiding nasty surprises. What kind of partnership? India and the United States have been working toward a partnership since 2000, but both have historical baggage which has made it hard to define what that should mean. As the Trump administration settles in, two basic concepts are in play. One is strategic collaboration resting on some core common interests, including anti-terrorism and similar goals for Asian security. With India, this would not involve agreement on the full range of either country’s interests. The other model is a succession of transactional deals, involving trade and investment, but potentially also more specific security issues. These would be agreements in which both parties know with great specificity what they are offering and receiving. These are not incompatible; ideally, a solid and enduring partnership would draw on both models. Intellectual Property Rights will be another big area of discord, mainly due to the different belief systems : to share technology and resources between the haves and have nots (India) vs. patenting regime of the US. Maybe the Indo-US relationship should first release a common minimum vision statement first to find all areas where they could cooperate.